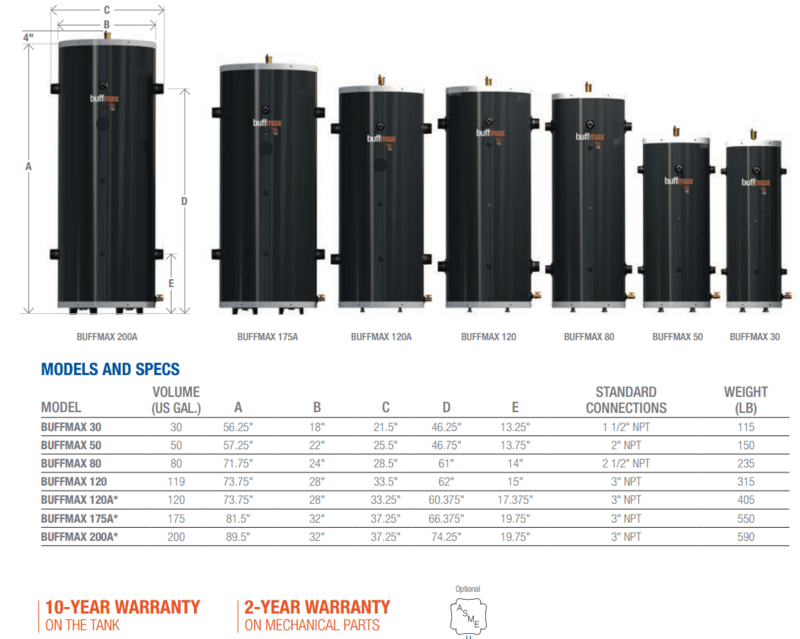 Introducing our line of Hydronic Buffer Storage tank with a 10 year warranty available in sizes from 30 gallons to 200 gallons. Including ASME certification for commercial heating applications. Buffer tanks are designed as the thermal energy battery for a hydronic heating system. They are used in almost every application and provide efficiencies to the heater unit allowing it to run in longer cycles. This reduces short cycling which is the #1 cause of failure in any type of hydronic heater. A buffer tank is also used in cooling such as radiant floor cooling or cooling using a centralized air handler or individual room fan coils. The BUFFMAX optimizes run times by “buffering or storing” the energy required for the hydronic system in larger quantities so that the system can draw off this energy without the need for the heater to turn on. The BUFFMAX is an ideal Hydronic Separator with a top air vent and 4 side ports it allow the system to run off two different pump speeds. The primary supply pump for the hydronic heater usually requires a much higher flow rate than the demand hydronic heating loops. Using a buffer tank eliminates the need for a primary and secondary heating loops or dominator loops. 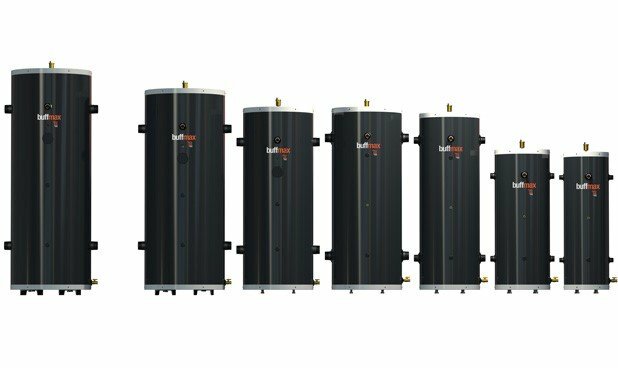 The BUFFMAX is ideal for geothermal heating, hydronic air source heating/cooling, biomass, and all low-mass condensing boilers. 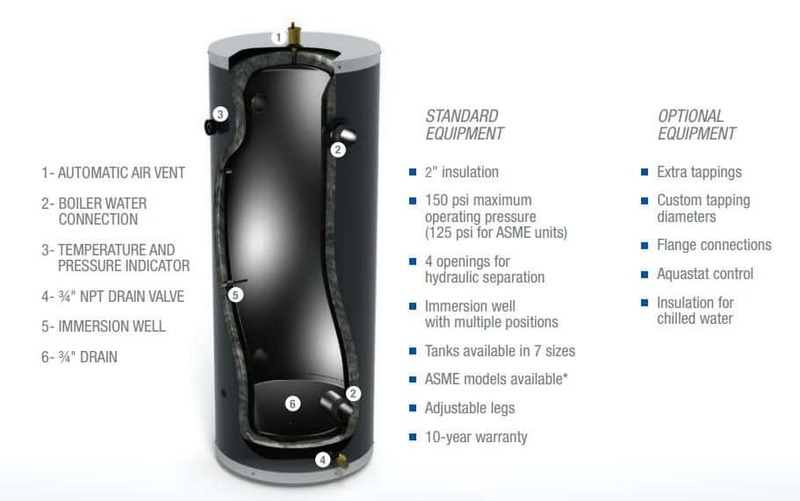 If you need a buffer tank with back-up heating for your hydronic project then the EcoMAX is the ideal choice.